I participated in two inspiring and instructive workshops with photographer Lisa Langell at the 31st Annual Festival of the Cranes, Bosque del Apache National Wildlife Refuge The morning session, Create Beautiful Wildlife Images was a seminar. The afternoon workshop, Photographing Abstracts in Nature, consisted of hands-on field photography. Artistic Photography, offered the following afternoon, completed a trio of creative photography adventures. How can we think differently about nature and wildlife photography? How can we be innovative at a time when wildlife photography has virtually exploded to a point where nearly every subject seems over-photographed? In this seminar, Tamron professional nature photographer Lisa Langell demonstrated how to move from simply documenting wildlife images to creating beautiful photos that tell a story. Participants learned to create images that are engaging, interactive and dynamic. Lisa shared her inspirational thoughts, guidance, and techniques regarding the purpose, composition, and inspiration behind both how and why we photograph nature, and how we can do so in more creative, purposeful, artistic, and fulfilling ways. A whole new world of photography, creativity, and fun opens up when you break the boundaries of traditional imagery and explore photographing abstracts. Abstract photography is all about taking everyday objects and transforming them into something creative, even to the point of being unrecognizable. We learned composition. 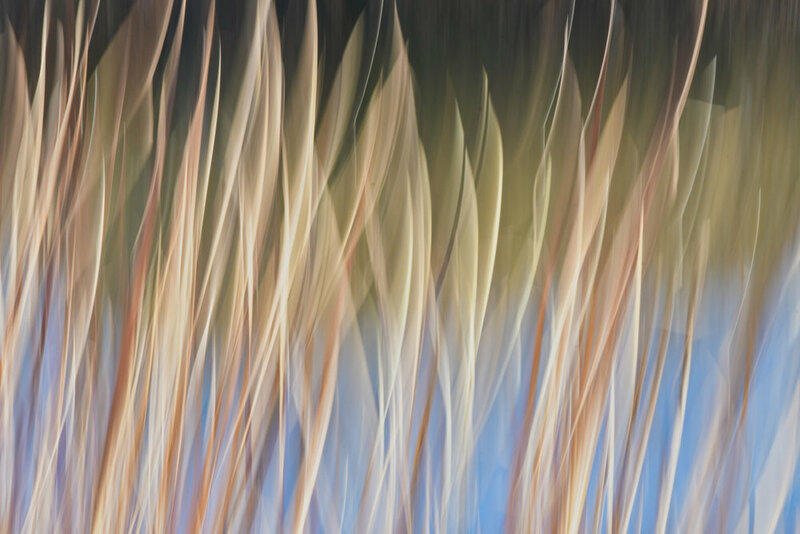 Lisa included the use of a variety of lenses to create abstract images using motion blur, patterning, contrast, shadows, color theory, textures, and edges, for a more artistic approach. We started in the classroom for 90 minutes and then moved to hands-on field work. This workshop was filled with laughs, freedom, and creativity. From beginner to pro, with any camera, this workshop helped every photographer. The goal of the workshop was capturing nature photographs using light, innovative camera settings and emotion. This fun, upbeat and inspiring session helped the intermediate nature photographer photograph nature in a whole new light, literally! Lisa Langell helped students learn additional skills while using lenses, light, settings and more in ways that enabled us to capture more artistic, creative, emotionally evocative, and inspiring images, This workshop focused on how to take beautiful photographs even without a long lens. We learned composition techniques, how to use natural light, and different ways to look at photographic moments.